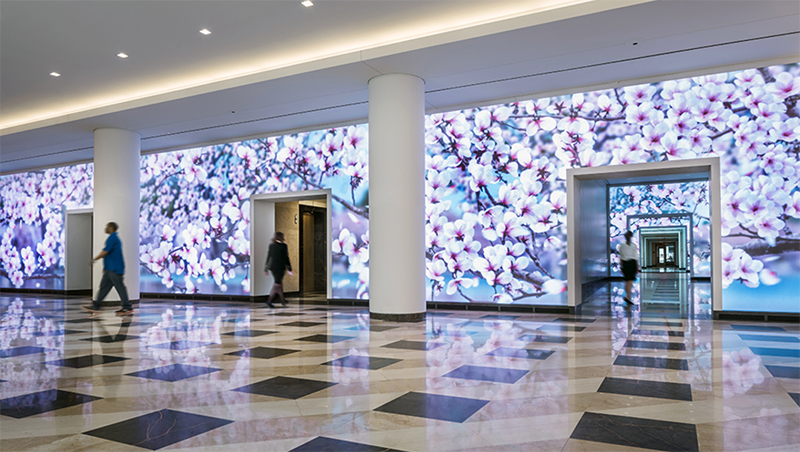 For Terrell Place, in Washington, DC, we worked with ESI Design and AV&C to provide production support for their interactive lobby. 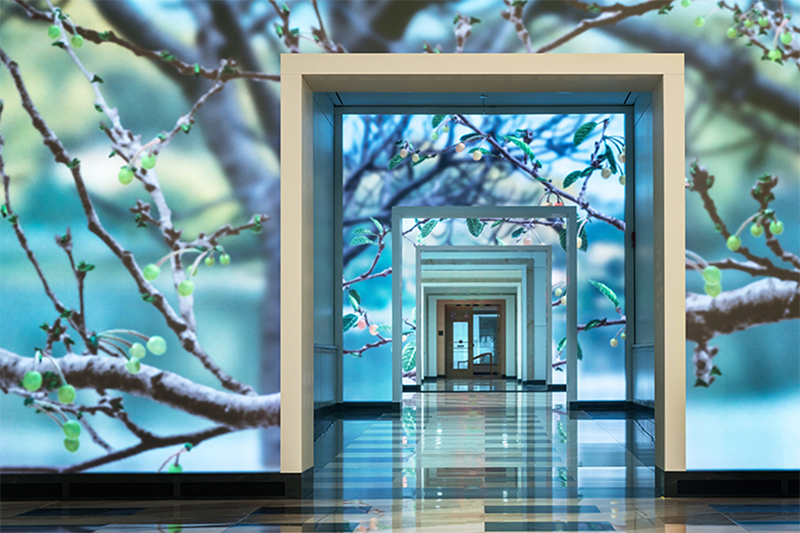 A building-wide system of motion tracking cameras allow users to interact with over 1700 square feet of LED tile. 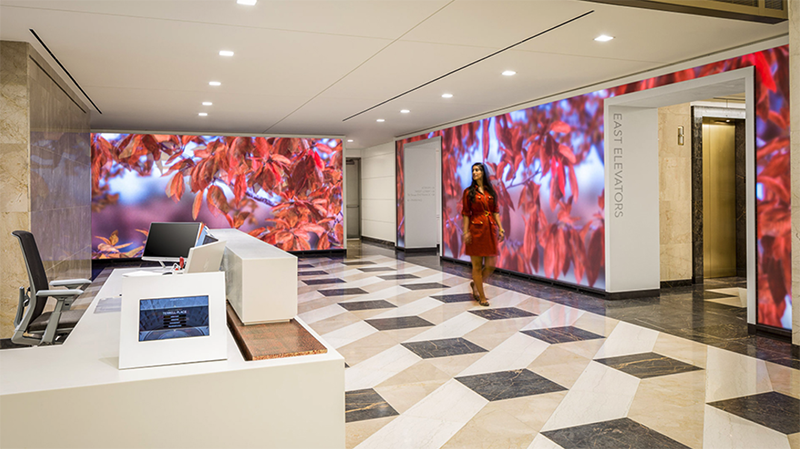 Generative 3D scenes respond to users throughout the building, as well as local weather data feeds. Generative audio software creates an ever-evolving sonic environment in relation to pedestrians in the lobby.